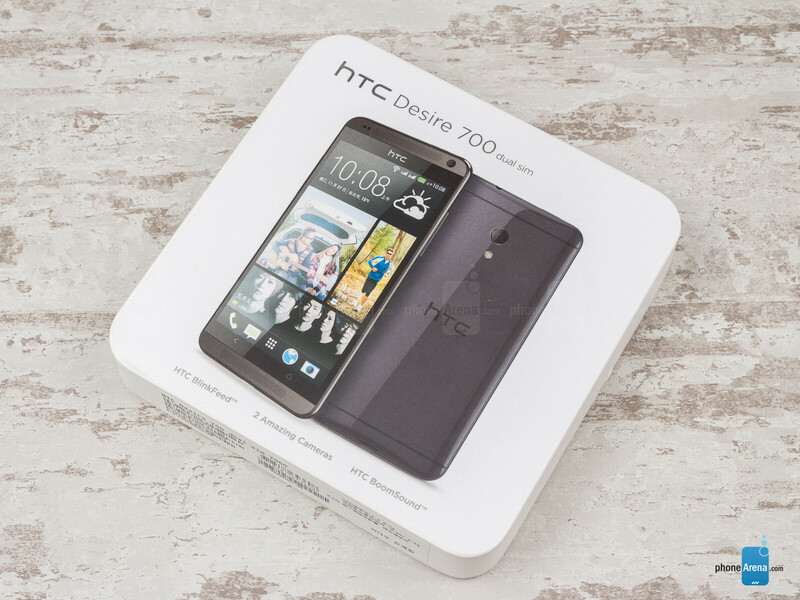 Desire 700 is not thin at 0.41” (10.3mm), but flaunts a very comfortable to hold chassis, with elongated, somewhat narrow for the screen diagonal shape that is comparatively easy to operate with one hand. 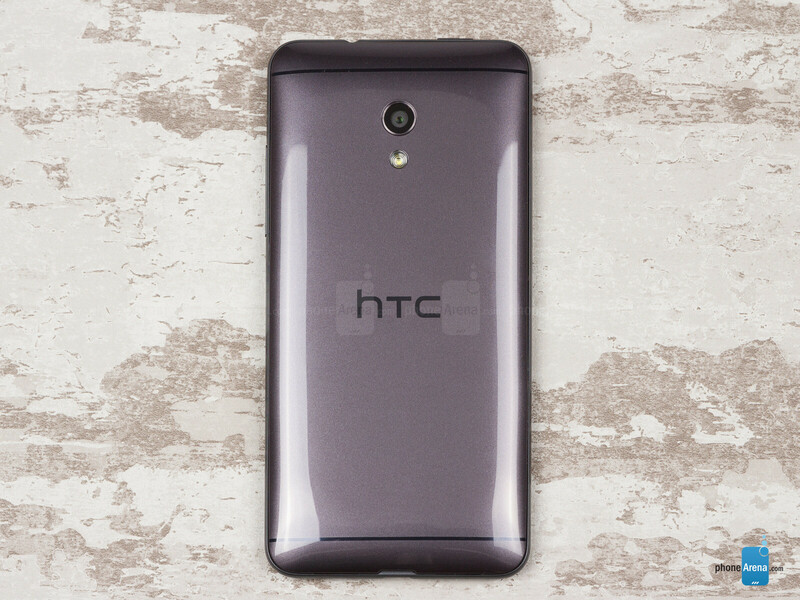 The glossy back cover is rather slippery, though, and attracts fingerprints like a magnet. The frontal stereo speakers also add quite a bit of height to the handset, so it is taller than your average 5-incher, which might become a nuisance in your pocket. 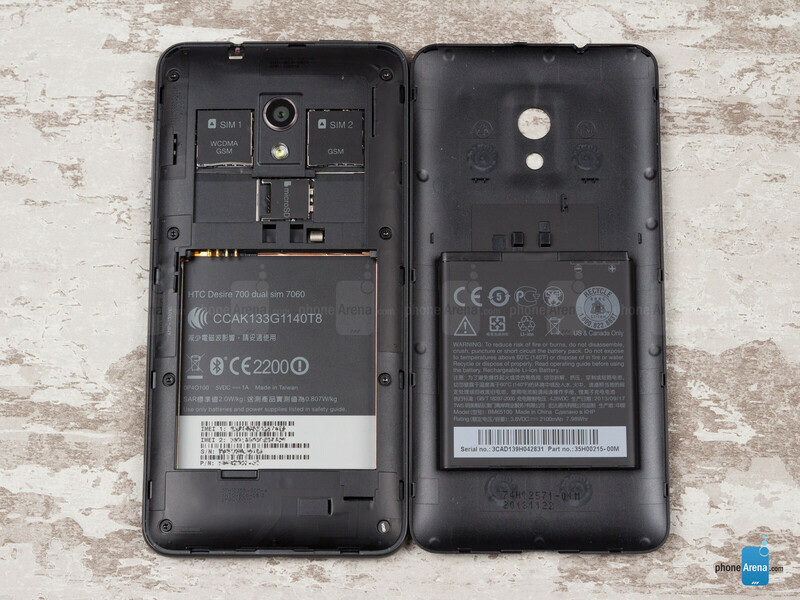 It doesn't have a unibody construction, so you can remove the whole brushed-metal-looking-yet-plastic back cover by prying it off at the bottom, and gain access to the microSIM card slots, memory card one, and the battery, which can be easily swapped out with a spare unit if needed. 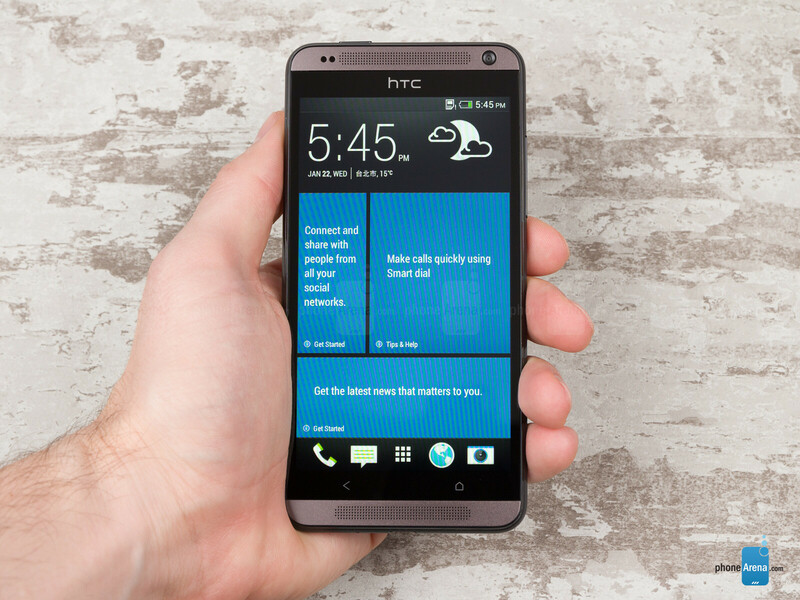 Very atypical for HTC of late, and quite a refreshing option. The build quality is very sturdy all around, leaving a solid feeling in the hand, and the side buttons are very easy to feel and press without looking. That goes for the illuminated capacitive keys beneath the display as well. The 5” screen on the Desire 700 is with the ho-hum 540x960 pixels qHD resolution, which brings the pixel density down to 220ppi. It isn't the best looking in terms of detail definition on text, for example, but does the job fine. Colors are a tad colder than they should be, and black levels are rather greyish. Brightness and screen reflectivity are enough for decent outdoor viewing, unless the sun is shining directly onto the screen. Overall, the Desire 700 isn't equipped with the most expensive panel around, but it does the job fine if you aren't too picky. I think thats the most cons ive ever seen jn a review. Dang.